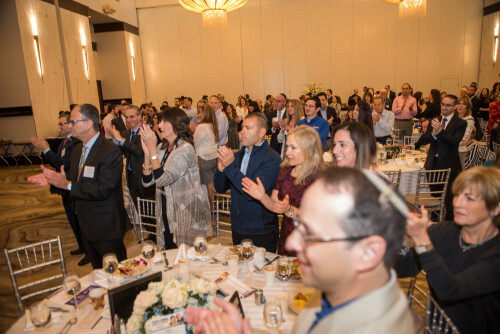 In a tremendous kick-off to our 2019 legislative advocacy for expanded state funding for school choice scholarships and Jewish school security, 350 community members and 30 elected officials from around the state attended Teach Florida’s Annual Legislative Breakfast in Boca Raton. State elected officials were rocked by rounds of standing applause for their $2 million allocation of Jewish schools security funding this year, and Representative Randy Fine’s announcement of expanded funding planned for this year. 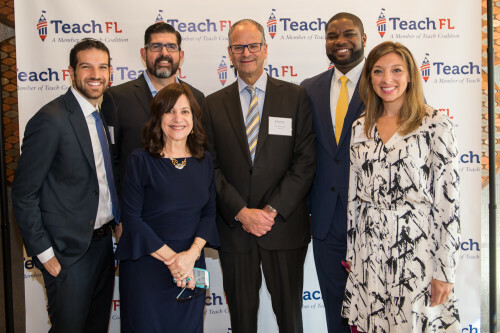 Senator Manny Diaz, the powerful chairman of the Senate Education Committee, spoke of his commitment to putting children’s education in the hands of the parents so they can choose and have access to the best school for their child. Diaz stressed that expanding scholarships to more families, including the middle class, is a priority of the legislature and Governor DeSantis this year. 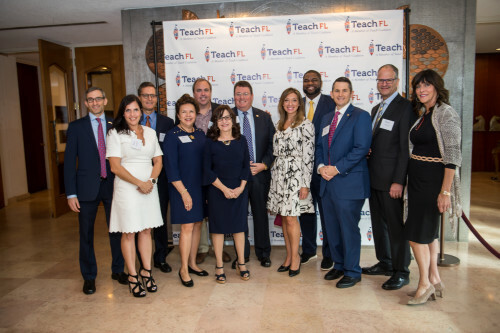 Teach Florida delivered more than $21 million in state funding for school security and tax-credit scholarships helping 2900 Jewish children attend day school this year. Since 2011, more than $88 million in state programs has helped thousands of Jewish students receive a quality education. To get involved, contact Mimi Jankovits, Executive Director, Teach Florida at mimij@teachcoalition.org or 954-406-6336.